Color: Sliver. 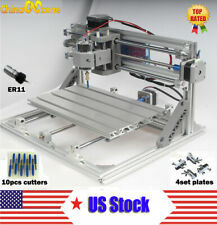 I am interested in this CNC machine but i don't know how to use it. Answer: We have video to show how to operate our machine ,If you still don't know after check the video and we can provide remote assistance. This item do not included the laser module. 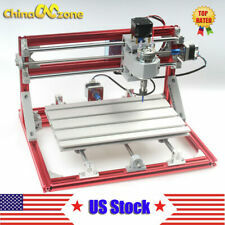 I am interested in this CNC machine but i don't know how to use it. Answer: We have video to show how to operate our machine ,If you still don't know after check the video and we can provide remote assistance. Type:Two Flutes Straight Milling Tools. 5 x Two Flutes Straight Milling Tools. 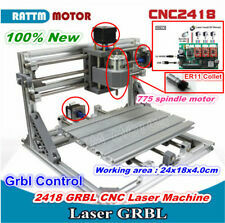 Special design, combine hard cutter body and high-class cutting edge, not easy to break. 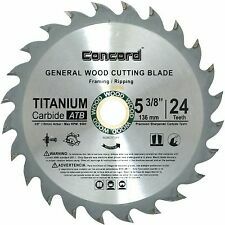 Sharp cutting edge, without burrs, wonderful chip-remove performance. This sale is for One NOS New Old Stock GENERAL CANADA 3" Inboard Outboard ( threaded 1" 8 tpi left and right) FACE PLATE 1" 8tpi for GENERAL 160 WOOD LATHE as well as many others as well with a 1" 8tpi spindle thread. 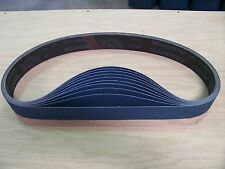 Application : used for slotting, trimming. 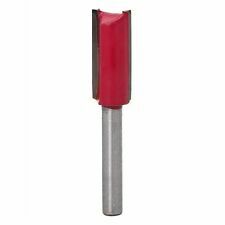 1 x Flush Trim Bit 12.7mm (1/2"). 1 x Round Over Bit R6.3mm (1/4"). 1 x Round Over bit R9.5mm (3/8"). 1 x Straight Bit 6mm (1/4"). 1 x Straight Bit 12mm (1/2"). Coated with titanium：Improve the speed and feed rate of the tool ,Improve the surface wear resistance. set size:0.20 0.30 0.40 0.50 0.60 0.70 0.80 0.90 1.00 1.10 (mm). after you have paid. 1 x Deburring External Chamfer Tool Note Simple operation, using the lowest speed on the drill bit, and then slightly applying pressure to remove the burr. High strength and hardness. 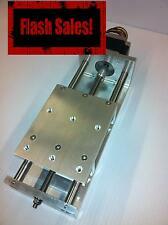 Effective on Stainless Steel, Hardened Steel, Mild Steel, Copper, Brass, Aluminum, Fiberglass, Wood, Plastic. 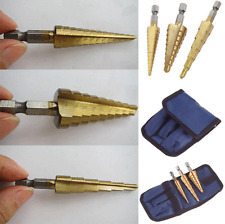 Hss Drill Bit Set For Wood, Plastic And Aluminum. Material: High Speed Steel with Titanium coated. Car & Motor Accessories. 50pcs x Drill Bits. If you do not receive our reply within 48 hours, pls. If you are satisfied with our service, pls. 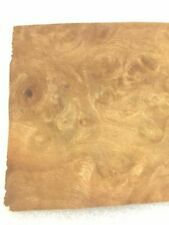 Total length: about 14 cm ( # 11 ). (E.g. you brought wrong model or wrong color). 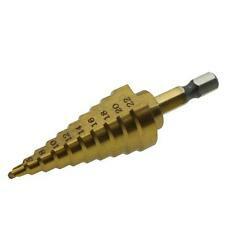 1 x 5-35mm Cone Drill Bit. Shank:Triangle round handle. Type: 5-35mm(5,7,10,12,15,17,20,22,25,27,30,32,35mm),Shank: 23 x 13mm. Titanium coated to reduce friction and run cooler. 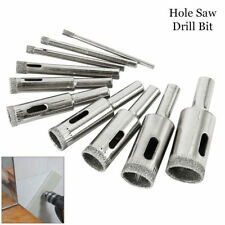 Automatically deburr holes as you drill. 3d stl models for cnc machining. Model # RC050DW bySupirior Electric. Application: PCB,SMT, CNC, Mould, pastic fiber, carbon fiber, super hard wood, printed circuit board, other precision parts processing. Sharp cutting edge, milling, hole and plate edge, surface clean, neat, no glitches. This Sale is for ONE NOS (New Old Stock) RAYO UK HIGH SPEED DRILL BIT 15/16" Diameter No. 3 MorseTaper Shank OAL 11" WR14dG2. Drill bits are coated with cobalt material for durability. Features a quick-change shank in 1/4-Inch hex, fits on all drills. Set comes with 13 of the most popular sizes of drill bits. This sale is for Two (2) IRWIN USA 3pc SET of SPEEDBORE MAX SPEED TRI FLUTE BITS in sizes 5/8" 3/4" 1" Item # WL145.3 A rule may appear in the photographs for size reference only and is not part of this sale. This sale is for one NEW OLD STOCK FREUD DIABLO 1-3/8" Forstner Bit 3/8" Shank FB-010 Made in Austria. Specs:Size: 1-3/8 inch diameter. These premium quality extra-hardened bits will drill through a multitude of materials. 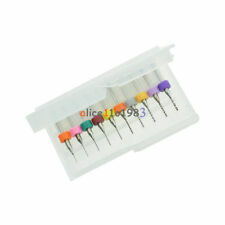 This sale is for a package of 12 NOS CLE-LING Cleveland Twist Drill 1898 1/4" E GP JOBBER DRILLS HSS BRIGHT Item #M1D26C. A rule may appear in the photographs for size reference only and is not part of this sale. 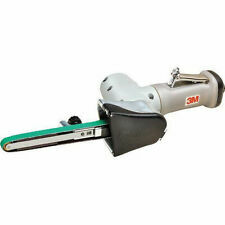 This Sale is for ONE NOS (New Old Stock) SOMTA UK LARGE TWIST DRILL Super High Speed Steel 1-1/4" Diameter No. 4 MorseTaper Shank OAL 13" WR12cD1. 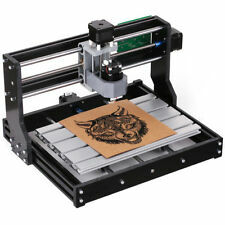 Micron CNC Model Master. Used for only 8 hours. This sale is for 8 NOS GUHRING PRECISON DRILLS Series 301 Din 1899 R-N 1.290 mm Diameter Item #MBB4B.C The drills are New Old Stock from unsold inventory of a Distributor that closed, this package contains 8 drills please refer to photographs for more detail.